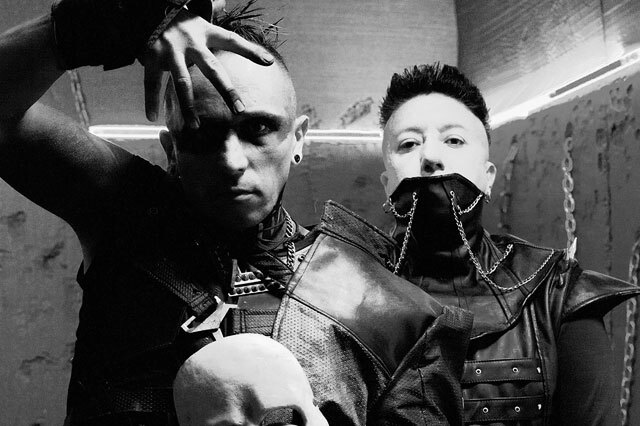 If you talk about hard and aggressive electro sound, you talk about Hocico. For over 20 years, the pioneers have been on the stages of the world, dominating every audience, from small clubs to major metal festivals not only in Mexico. Keyboard magician Racso Agroyam and frontmonster Erk Aicrag - When Hocico enters the stage, they unleash a pyromania of beats and adrenaline. The stage outbreaks of this one of a kind band are well known all over the world. Who ever thinks about „Blasphemies In The Holy Land“ also remembers the amount of power this legendary live album evokes even nowadays. So it was a kind of obvious to create another monument in its tradition. Their new album „Shalom From Hell Aviv“ shows the band in absolute top form with an audience bringing the pedal to the metal from the first to the last moment.